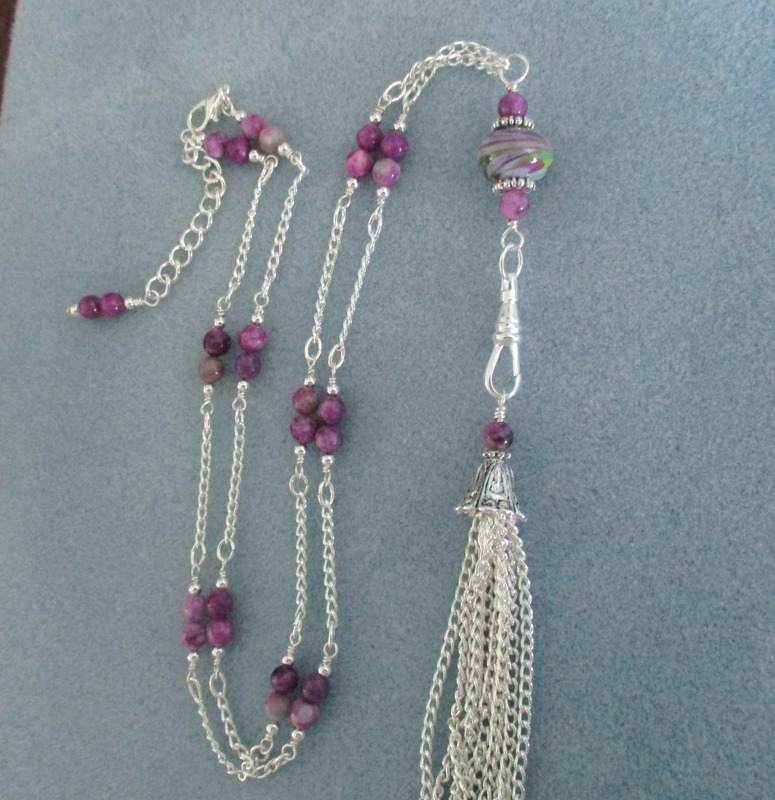 Lanyard becomes a beautiful long tassel necklace by attaching tassel to lanyard clip. Great for healthcare professionals, security personnel, conventions, etc. Anywhere an I.D is needed. 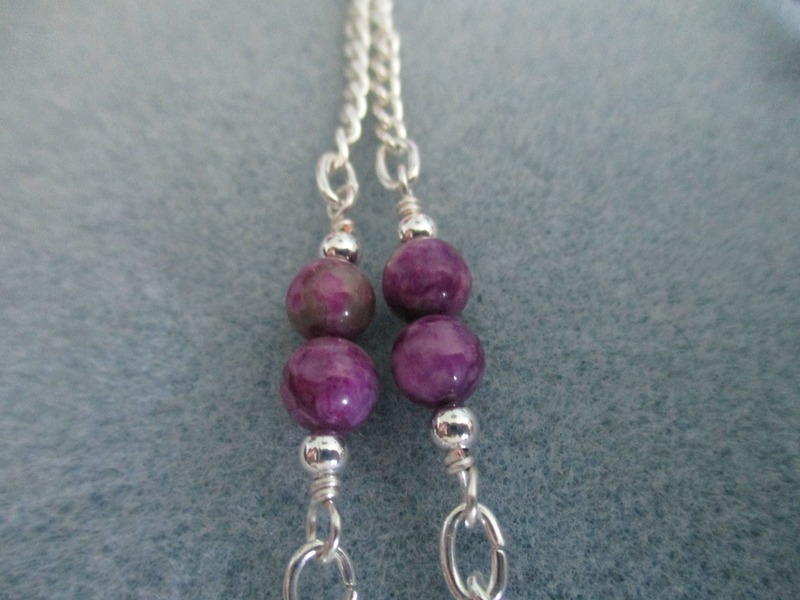 Lanyards are made using semi-precious gemstones, freshwater pearls and/or shell beads. This lanyard is 32 1/2" (83cm) long including lanyard clip. Tassel adds another 3 1/2" (9cm). It also has an additional 2" (5cm) extension. 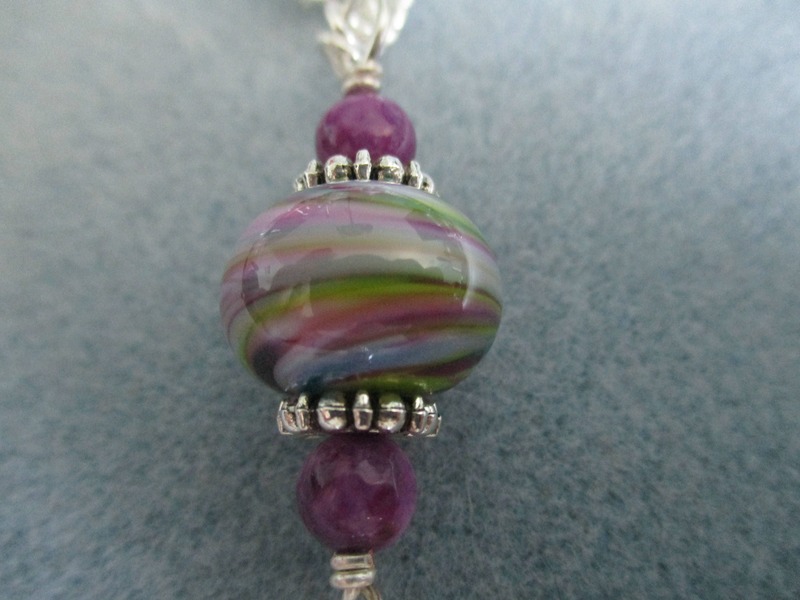 Included are 6mm (1/4") dark purple sugilite stones and a beautiful 15mm (2/3") lampwork glass bead with a swirl design.Chain, spacers, lanyard clip, clasp and cone are silver plated. Also comes with a clear plastic ID holder. ****For added strength, each bead connection is wire wrapped and heavy gauge oval jumprings are used. 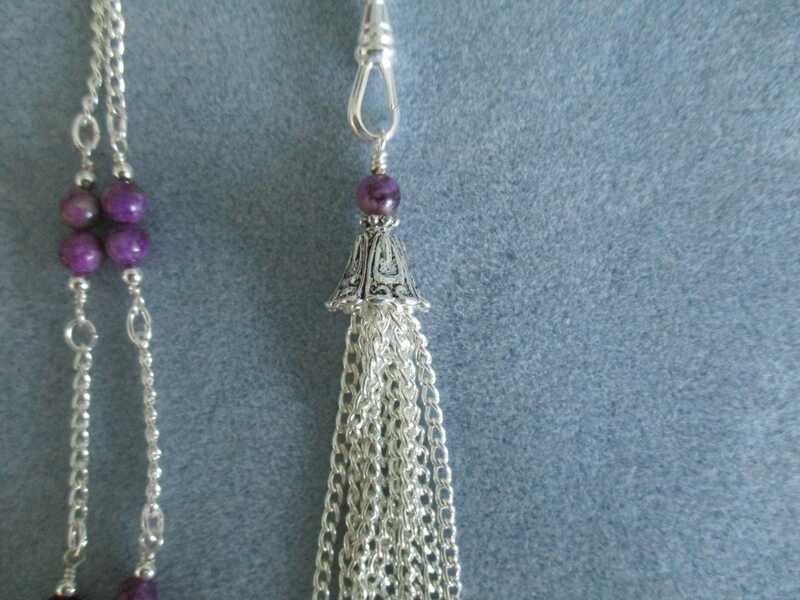 ****Beading wire is 49 strand so it has a very nice drape. ****Lanyard clip pictured is 24mm x 9mm (1” x 3”) and is silver plated. If you would like a different clip please see the last picture and select the lanyard clip you want. ****Clasp pictured is a silver plated lobster clasp with a 2" extension. You also have the option of a breakaway clasp. 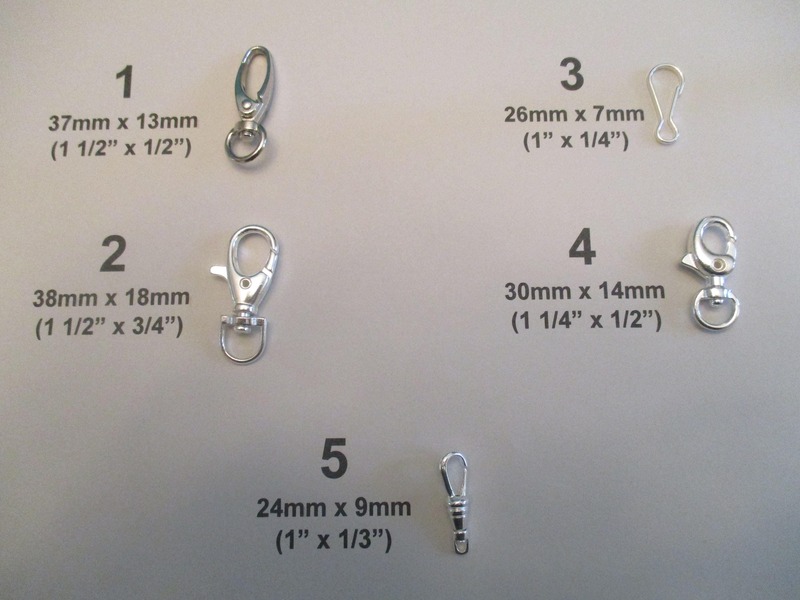 If you choose the breakaway clasp please let me know in the comments at check out if you need a different length than 32 1/2" to lanyard clip.